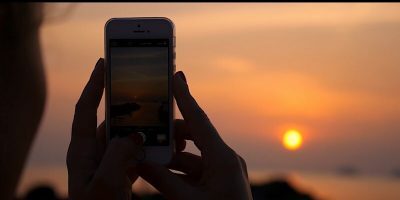 Have a bunch of photos you need to shrink? Or watermark? Or tag? Maybe add some shadows, round some corners, or stick your blog’s address into the corner? 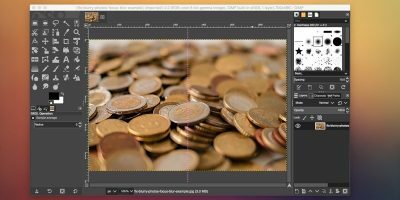 We’ve covered batch image processing a little bit before, but for the serious image processor, GIMP might not be enough. 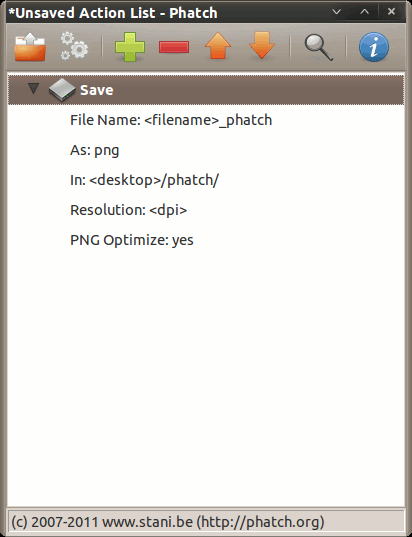 For that, we’ve got Phatch – a simple, lovely, amazingly useful utility that can handle all your batch image processing needs on Linux, Windows, or Mac. Oh, and it’s free. The standard method of working with the Phatch GUI is to start by defining all your actions. Each action (recolor, resize, watermark, etc) happens in the sequence shown in the GUI. If, say, Blur is set above Resize, the blur effect will happen before the resize. This can be important when working with complicated sequences of actions. In that example, all the photos will be converted to optimized PNG format, moved into the ~/Desktop/phatch folder, and renamed to include the original filename plus “_phatch” to signify that they’ve been processed. Phatch wouldn’t be that useful if you could only apply one filter at a time. Using the + button at the top of the window, add any actions you want to apply to your images, and make sure each is set the way you want. The arrow icons at the top of the screen can be used to reorder your actions, so remember to place Save at the bottom. If you’re anything like me, you may be thinking “Ok this all makes sense… but when do I add the files to be processed?” Instead of queuing up the files then running the actions, Phatch queues up the actions and then chooses the files. Once your actions are ready, click the gear icon at the top to begin processing. Here is where you can choose the files to include in your batch. 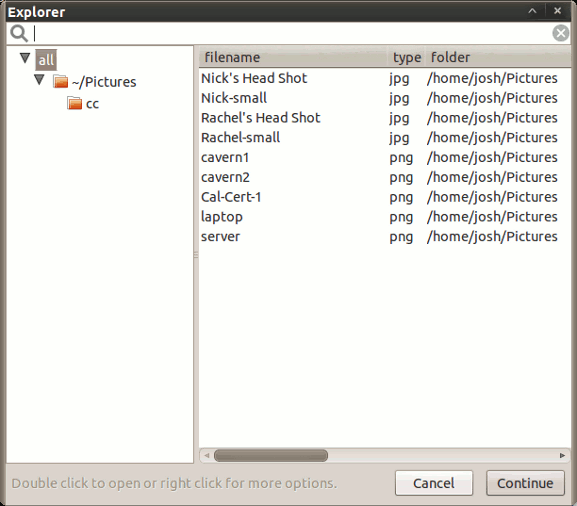 As you can see, you’ve got options for different file types as well as whether or not to include subfolders. When ready, click Batch to begin a test search. You’ll be shown a screen where you can verify that Phatch found all the files you wanted. Presuming everything looks correct, hit Continue to apply all your actions. 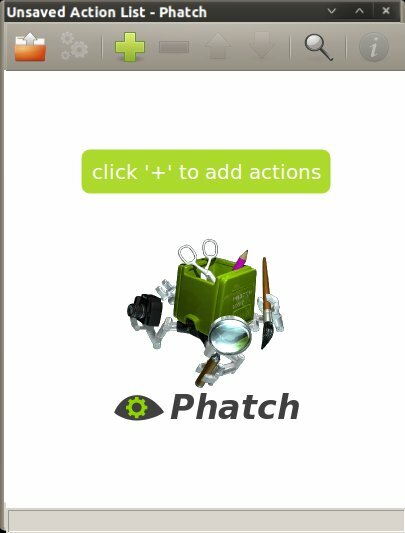 Phatch will notify you when the work is complete, and your processed images will be found in the location specified in your Save action. If you’ve got a lot of images that need a lot of work, it’s hard to beat Phatch. It’s functional, well-designed, multiplatform, and free. 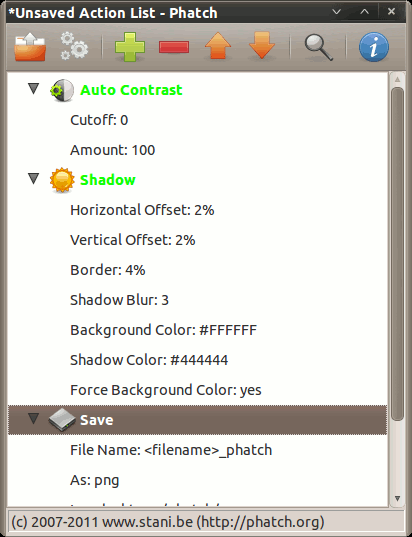 Even for those of us who know and love Gimp, Phatch has some compelling features. It may be a one-trick pony, but it’s very good at that trick. Happy processing! Very good application for batch processing of images. 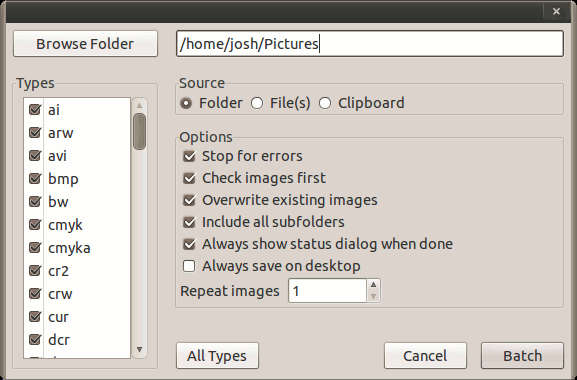 I would end up using ImageMagick from the command line to perform such batch functionality especially resizing images.